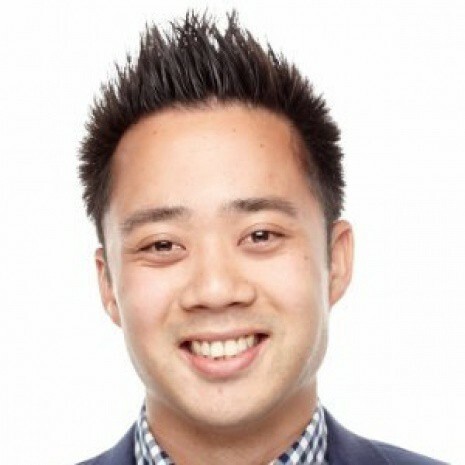 Eric Siu is the CEO of a marketing company called Single Grain, a digital marketing company that works with both Fortune 500 companies and venture-backed startups. He acquired the business from Sujan Patel, another well-known marketer in the digital marketing space. Before being the head honcho at Single Grain, he was the marketing lead for Treehouse, one of the most well-known companies in the tech education space. 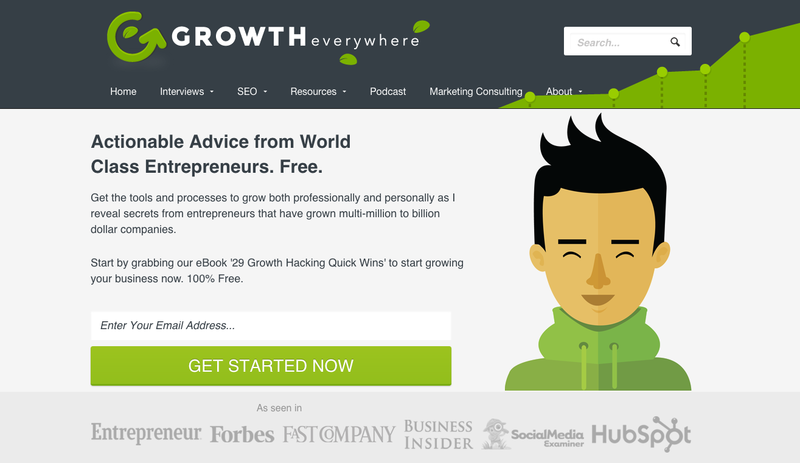 He also owns Growth Everywhere, now one of my favorite podcasts in the startup growth space. I’ve thoroughly enjoyed listening to all his interviews with some of the top entrepreneurs in the world. Note: This article was originally published on HYPERLUSH, and has been republished here with permission. We got a chance to interview Eric about one of his favorite topics, content marketing. It’s one of the most effective ways to build up a loyal audience, and it’s an extremely good way to build up an email list. What was the challenge coming into Single Grain after working in a company like Treehouse? It’s a completely different company. With Single Grain, we don’t necessarily have anything groundbreaking. We’re a digital marketing agency just like tons of agencies out there. With Treehouse, we had a great team and a great product and we were on the cutting edge of the education space. Our team at Single Grain is also a different team — we have a lot of smart people at Single Grain but they’re mostly junior marketers. It was unlike Treehouse where we had the A-class team with people from places like Stanford & Google. So it’s a different challenge. Let’s get into content marketing. How does one even get started? Also you just gotta keep writing. At the beginning you’re going to see very little returns. It’s a delayed gratification. It’s like compound interest. Over time you’ll see your traffic grow. You’ll see your email list grow. Do you write with SEO in mind? It’s very helpful to understand SEO, but you don’t want to make your writing very robotic by including X amount of keywords in the title or article. It’s important to get traction in your article first and then you can go back and tweak things for SEO purposes. Bottom line: learn the basics of SEO, but don’t worry about over optimization. You have two properties, Single Grain and Growth Everywhere. What’s the purpose of this? I intended to start Growth Everywhere just to give back. When I made it two years ago, I just wanted to make it helpful. But Growth Everywhere does help us send people into our marketing funnels for Single Grain. (Single Grain being the marketing company and Growth Everywhere being just a content blog/podcast for startup growth). We do find that Growth Everywhere brings in our best clients, because they are high value customers who understand more than the average customer and they see the value of what we provide. So in that sense, yes, Growth Everywhere is a great channel for us to find customers for Single Grain. Can you give us traffic numbers for your two properties? Across the board we’re getting around 80,000 unique visitors. About 5% of our audience turns into newsletter subscribers, so we’re getting about 4,000 per month. Wow, that’s pretty high. How are you getting 5% of your readers into newsletter subscribers? I highly recommend ConversionXL for more conversion tips. But our welcome mat from SumoMe is converting super well — at around 10%. We also have lead magnets that do really well, around 5%. (Editor’s note, to learn more about content upgrades, check out this post by Backlinko). Did you do A/B testing? And at what point does someone need to do A/B testing? Yes we definitely A/B tested our offers. So generally we tested the actual offers, not the color of the button or something like that. As far as when you should start A/B testing, I have an arbitrary number, 10k uniques. If you don’t have that many yet, then you have much need for A/B testing. And you also have a lot more issues that will take more precedent. 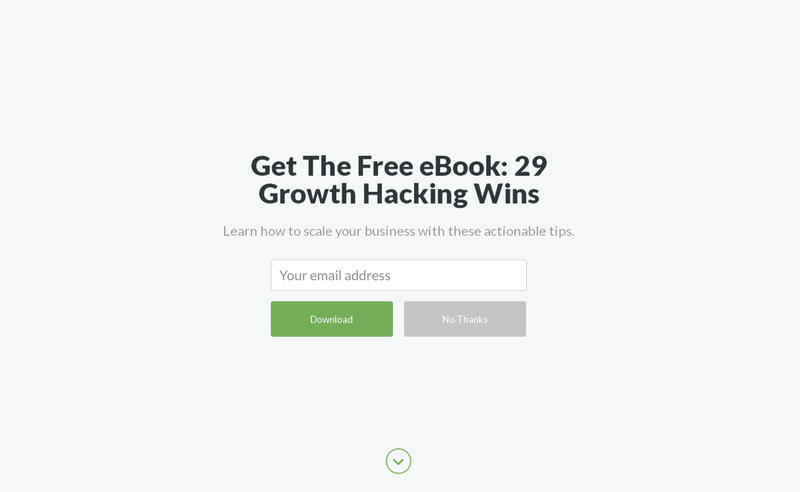 You have a site-wide lead magnet called 29 Growth Hacking Quick Wins. How did you come up with this and why did you think it would be a compelling lead magnet? Yeah so the content of that e-book was mostly created by Mattan Griffel of One Month. We were at a conference together and I really liked the content he put together. So I approached him to do the design and he said yes so we created the e-book together. For our audience it was just a no-brainer. If they could get just one good tip from the e-book then it’s worth it for them. We put this lead magnet up on our welcome mat and also throughout our website and it’s been converting a lot better than what was on there before. What’s converting best for you? Welcome mat? Popup? Exit popup? The Welcome Mat by far. So it converts around 10%. We also have an exit popup but it only converts at 1%. I have no idea about the psychology behind it, but the Welcome Mat is just doing so much better. I’d definitely test it out. (Editor’s note: SumoMe themselves have reported similar data. That their Welcome Mat does a lot better than any other pop-up or optin form). How do you promote your content? We find communities that we can post our content to — places like Growth Hackers and Inbound.org. There’s also Reddit and Hacker News. Then we had our team upvote the content as well. That gave our initial boost of traffic. Then we also interviewed influencers who sent us traffic. Combine that with a mailing list and you slowly end up growing your list and audience pretty quickly. For the people who are having trouble converting their traffic to email subscribers, what should they do? You have to go back to the drawing board and ask yourself if your content is actually good. In general, it’s mostly people who want to take shortcuts and be lazy. When you’re creating content you have to provide value. If it doesn’t provide value then you won’t convert traffic. So take a really deep, hard look at your content and ask yourself if the value you’re providing is actually good. In the past I’ve honestly said “no” to this many times. It’s a learning process. You have to continually create more and more content and figure out what content resonates and what content falls flat. How can we get feedback to see if our content is good or not? Start with friends and family first. Facebook ads can help you see if people want to look at your content. Just look and see which ads get the highest CTR so you can see what people are clicking on and what they like. The great part about this strategy is not only do you get to see what content converts well, but now you can pixel your audience with the FB pixel. Once you have that FB pixel on your site, you can now retarget that audience so they can buy an offer from your site, maybe a cheap offer. Then you can bring them deeper into your funnel and purchase more higher value products. I highly recommend DigitalMarketer.com for more insights on Facebook ads strategy and growth in general. Thanks so much for all the insights Eric!